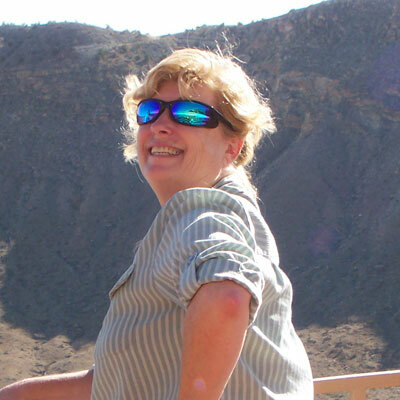 Melody Kehl is an avid birder who loves to share her knowledge with anyone and everyone. She continues to take courses in ornithology to feed her frenzied need for more knowledge about our feathered friends. Spending some two hundred fifty days a year birding and hiking in Southern Arizona, Melody has acquired an intimate knowledge of the places where birds gather, nest, feed and hide. She is also knowledgeable about the area’s fauna and flora and current environmental issues. Melody’s contagious enthusiasm makes for exciting and fun days in the field. Melody is able to guide in all regions. I am a non-aggressive birder who has a tendency to bird quiet (not much pishing or owl tooting or taping). I like to wait quietly and let the bird come to me which can take a little longer, but seems much more satisfying. Allow the bird to “Do What Comes Naturally!